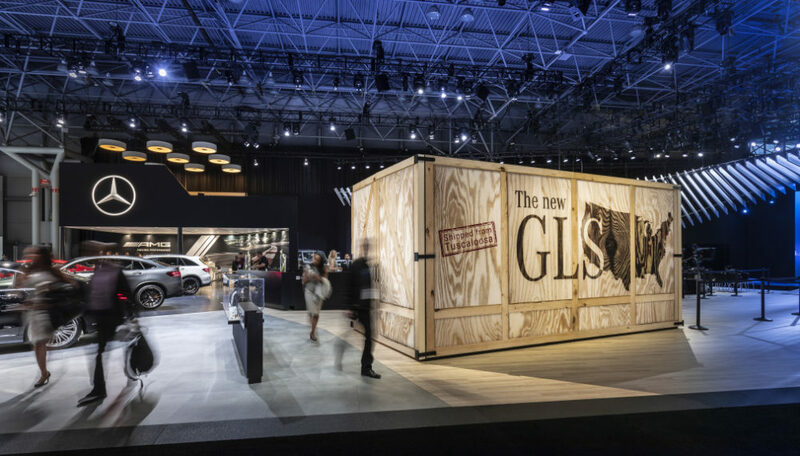 The 2019 NYIAS is very much dedicated to the SUV for Mercedes-Benz and Mercedes-AMG: in five world premieres, the inventor of the automobile is presenting the Mercedes-Benz GLS, the GLC Coupé and the EQC Edition 1886 plus the updated Performance models of the GLC SUV and Coupé from Affalterbach. Also on display for the first time are the CLA 35 4MATIC and the A 35 4MATIC Saloon. The press conference will start on the first press day, April 17, at 4.15 p.m. (CEST). With the online platform Mercedes me media, anybody interested can be there live – wherever they are in the world. Press materials, photos and videos relating to the new products shown in New York are available via a constantly updated media hub. The multi-angle livestream and the media special for the 2019 New York International Auto Show can be found at media.mercedes-benz.com/NYIAS2019. 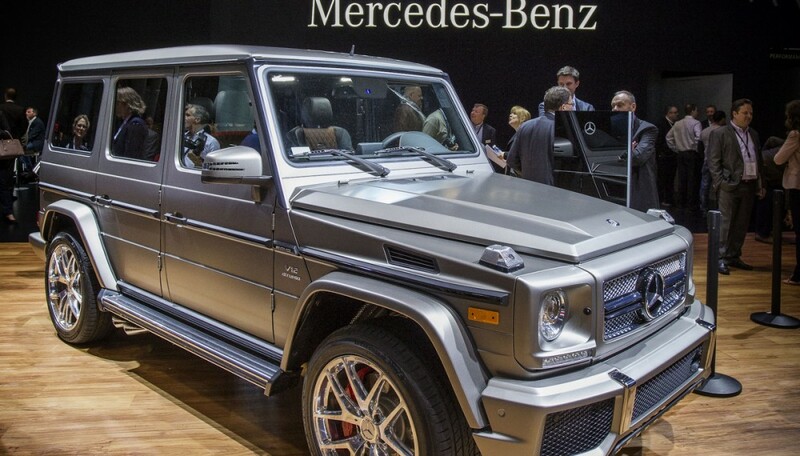 The largest and most luxurious new SUV from Mercedes-Benz can be seen for the very first time: the Mercedes-Benz GLS is the S-Class among SUVs, and embodies the claim to excellence in the premium SUV segment. General spaciousness, especially in the second seat row, benefits from the 60 mm longer wheelbase. The three fully electrically adjustable seat rows offer all passengers a generous amount of space and outstanding seating comfort. 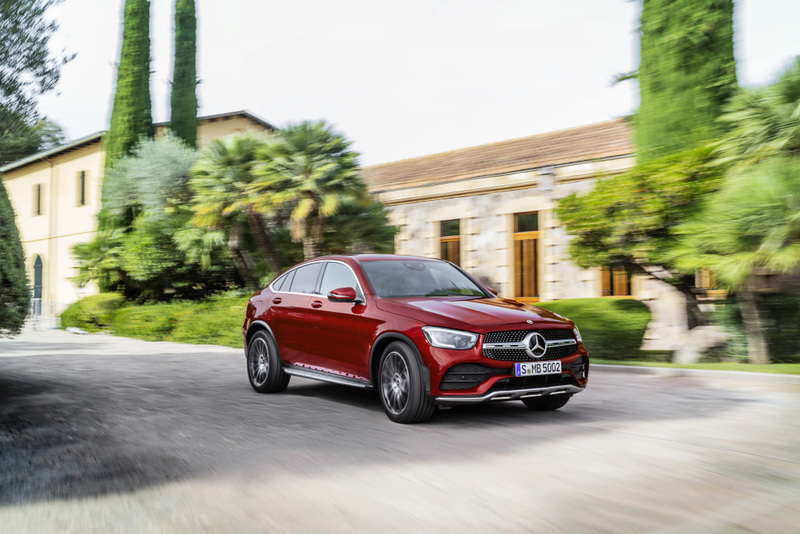 The active E-ACTIVE BODY CONTROL suspension based on a 48 volt network is familiar from the new GLE, and ensures superior suspension comfort, agile handling and good off-road capabilities. The GLS is also equipped with the latest generation of Mercedes-Benz driving assistance systems giving cooperative support to drivers. The revised Mercedes-Benz GLC Coupé is celebrating a further SUV world premiere. 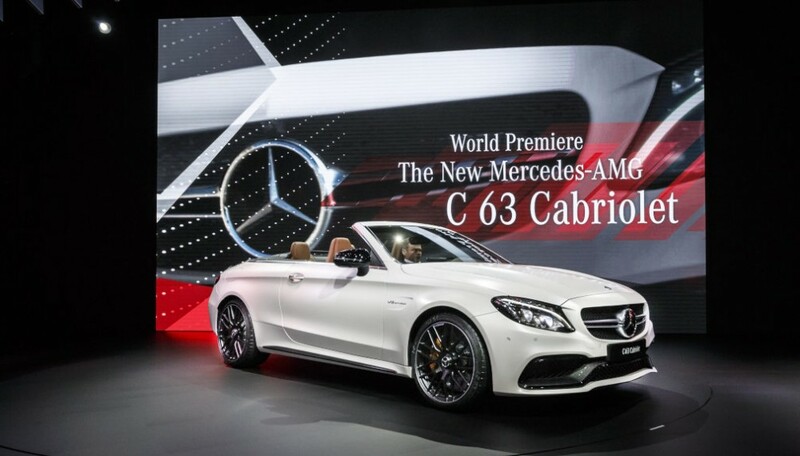 It impresses with its distinctive appearance, innovative driving assistance systems, a new engine line-up and the latest generation of the MBUX Mercedes-Benz User Experience multimedia system with its wide range of control options. The enhanced driving assistance systems have been expanded by adding an exit-warning function, emergency-corridor function and tail-end-of-traffic-jam function, among others. Hallmark off-road features include the dominant front end, powerful contours and standard-fit chrome details like the front and rear underride guards. Also on show to the world public for the first time is the latest and more lifestyle-oriented entry-level to the world of Mercedes-AMG. 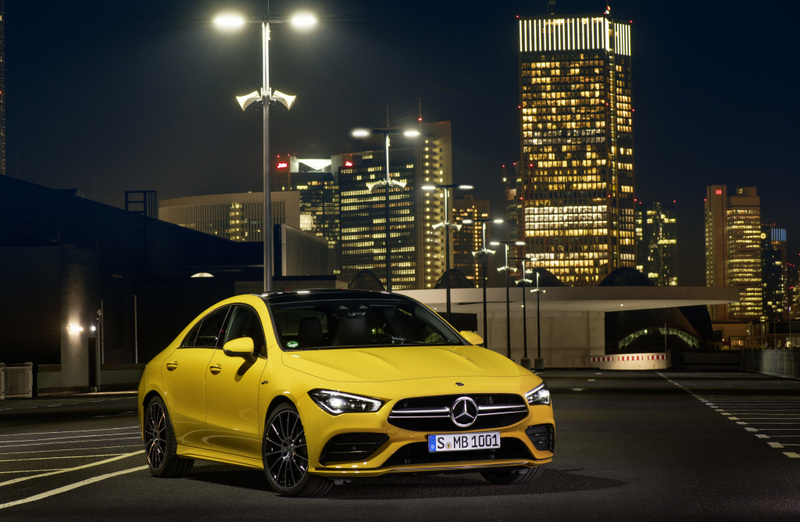 The new CLA 35 4MATIC impresses with a powerful, turbocharged 2.0-litre four-cylinder engine, a 7-speed dual clutch transmission and an exciting design. The exterior styling scores with a slim, sporty waistline, flared wheel arches and two powerdomes on the bonnet. The interior with fully digital displays exudes quality and elegance. 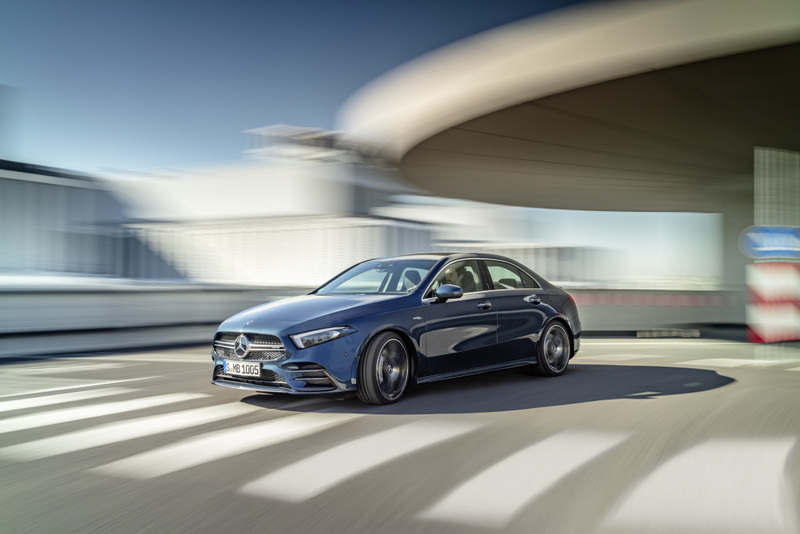 Also on display for its world premiere is the Mercedes-AMG A 35 4MATIC Saloon. Its turbocharged 2.0-litre four-cylinder engine, AMG SPEEDSHIFT DCT 7G dual clutch transmission, AMG suspension and variable AMG Performance 4MATIC all-wheel drive guarantee extraordinary driving dynamics. The attractive entry-level model in the current AMG portfolio will appeal to young target groups who are looking for a high level of performance and a comfortable amount of space for passengers and luggage. With the world premiere of the EQC Edition 1886, Mercedes-Benz is signalling its systematic entry into the era of e-mobility. The limited Edition 1886 of the first Mercedes-Benz model under the product and technology brand EQ thrills with extensive items of optional equipment such as carefully coordinated features in the exterior and interior. Customer-friendly services for all aspects of e-mobility anticipate and meet the needs of drivers, and guarantee carefree long-term operation. “Meet Mercedes-AMG” is the continuation of an event format from last year: On 16 April, the day before the New York International Auto Show, journalists will have the opportunity to familiarise themselves with the new Mercedes-AMG products and hold informal conversations with AMG experts at Mercedes-Benz Manhattan. i The figures for power consumption and CO2 emissions are provisional, and were determined by the Technical Service. The range figures are also provisional. EC type approval and a certificate of conformity with official figures are not yet available. Differences between the stated figures and the official figures are possible. ii The indicated values were determined according to the prescribed measuring procedure. These are the “NEDC CO2 figures” according to Art. 2 No. 1 Implementing Regulation (EU) 2017/1153. The fuel consumption figures were calculated based on these figures.